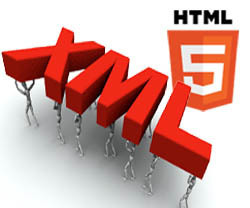 I thought I would start off today’s blog with a nice simple definition of what XML stands for! Specifically, in today’s blog we will look at RSS feed XML as that is the type of XML Hubs caters to. XML was designed to transport and store data. HTML was designed to display data. In today’s blog we will take a look at how to convert your XML RSS data into a beautifully presented hub that can be viewed across all devices. Let me show you how simple it is to convert your RSS feed XML into a hub complete with HTML5 capabilities in 8 easy to follow steps. 3. When you login for the first time you will be taken to section 1 ‘Add content to your hub’. 4. Add in the sources to the content you wish to include in your publication including any Rss feeds, URL’s, social media or trending news that pertains to your area of interest/expertise. 6. In the ‘Customize the look of your hub’ section you can upload your logo and background images to your publication as well as choosing the colors for the text and background of the menu. 7. Once you are happy with the look and feel of your publication, click ‘next’ and you will be taken to section 3 ‘Manage the content in your hub’ section, from here you can opt to manage your articles (add edit or remove articles), assign articles to specific sections, assign sections particular colors and also adjust the general layout. 8. Click ‘next’ once you have finished setting up your sections and content within section 3 and you will be taken to section 4 from where you can share your publication, click on ‘publish and share’ to launch your publication. And that’s it. It’s that simple. Hubs will have created a digital hub that will automatically reshape your content around the resolution of the device that your reader chooses to consume your media on. You will have the option of sharing your creation through social media, email et al so you can share your creation with whoever you like through whichever channel you like. Mobilize your content and transform your XML RSS feeds through Hubs.